A convenient Liquid Soda Crystal bottle which is just as effective as regular Soda Crystals, but also contain other biodegradable detergents for even tougher tasks. This handy bottle removes the need to make up a Soda Crystals solution by diluting with water. Apply directly to surfaces and wipe with a damp cloth; rinse cloth and wipe clean. If required, buff to a shine with a clean, dry cloth. For very greasy surfaces, leave Liquid Soda Crystals to dwell for 5 minutes before wiping. 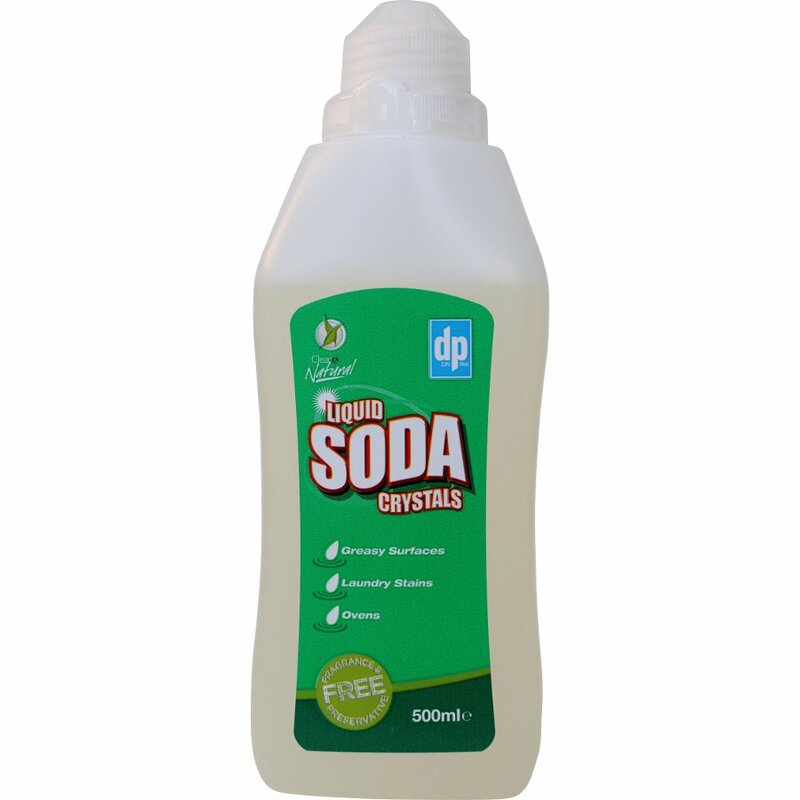 The Liqiuid Soda Crystals Multipurpose Cleaner - 500ml product ethics are indicated below. To learn more about these product ethics and to see related products, follow the links below. Great cleaner-use for bathroom&hob surface.